We love what we do. Whenever we get a chance, we travel around the world to record new sounds. We collect the sounds of the world on our travels. 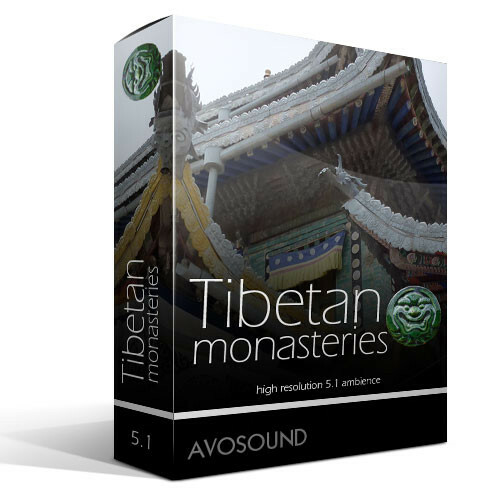 From the Tibetan highlands to the jungles of Vietnam and Myanmar and the concrete skyline of New York: we create high-quality sounds and atmospheres from all over the world. We love what we do –– which is why we sometimes travel to the ends of the world for our sound design collections. In a nutshell: great productions need new, cutting-edge sound effects to achieve greatness. We travel the globe for you... and we bring home the sounds of the world. We go far for our sounds - sometimes to the end of the world. All in the service of gathering pure, unaltered sound effects. 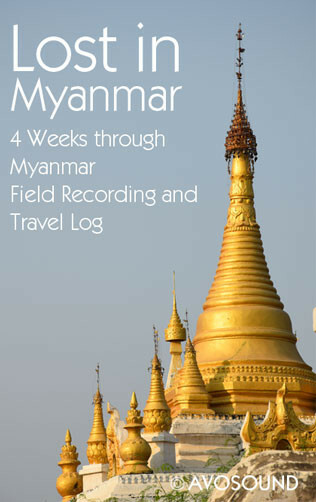 Traveling is part of our work and a necessity if you want to discover new sound effects or re-record ancient ones. We found plenty of old sounds in Tibet with its prayer wheels and flags that have been making noise for centuries, the wind carrying their mantras out into the world. But even these civilisation sounds are not as ancient as some of the indigenous sound effects that have been occurring on our planet for ages. The roar of the water, the breaking of the waves, the might of thunder and lightning: for eons they have been part of this Earth. Travel in time and space with us and feel what it's like to peer at the ocean while lying in the black sand of a volcanic island. These impressions (and countless others) can be found in the Avosound Online Sound Archive, available in stereo or 5.1 Surround Sound. Working in harsh conditions while recording sounds at the other end of the world (i.e. Farewell Spit in New Zealand). What the kiwis consider a bit of a draft is more like a hurricane for us North Europeans! Recording sounds and noises is fun. Read more about Geräusche und Sounds aufnehmen macht Spass. 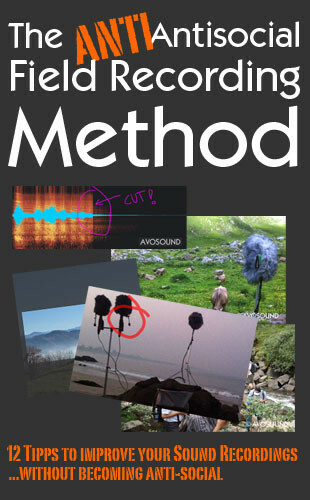 Read more about the art of recording sounds. Sound effects, sounds and noises are the heart and soul of an audio-visual production and the foundation of any audio post-production company. 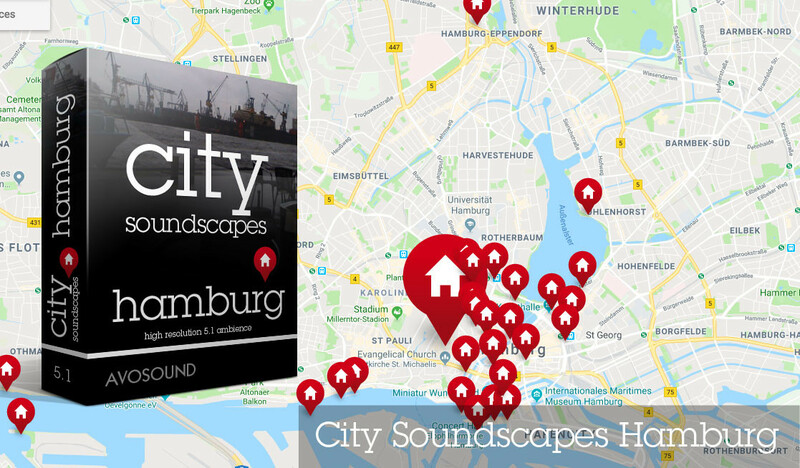 A comprehensive sound effects library with cutting-edge new sounds will not only make your work more interesting and versatile, it will also speed up your workflow by offering you lots of results when you search for sounds. A sound library and interesting sound effects are the foundation of your creative work and will give your work a unique acoustic stamp. In today's production environment it is crucial to use the available means as efficiently as possible and to not lose any time. A comprehensive and versatile sound effects library is still the best foundation for sound design and sound editing. Extended browsing and arduous research tend to take up too much time and interrupt the creative flow of your work. A great sound effects library, however, will make your work (and your company's output) extremely fast and efficient and will provide you with excellent source material for many different productions. It allows you to service productions with great speed and at standard of quality that will live up to your reputation. If time and money are tight, you need to use whatever resources you have very efficiently. 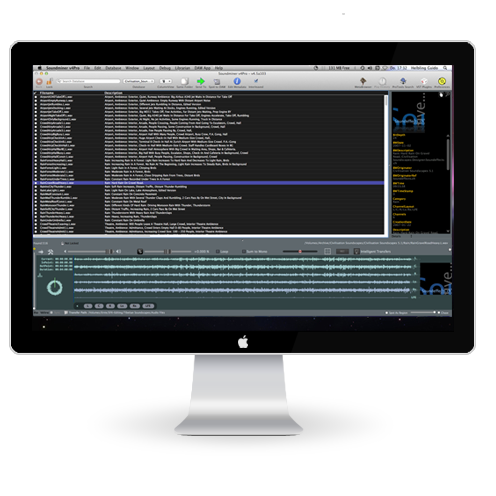 A comprehensive and versatile sound archive will not interrupt your workflow. High-quality, comprehensive sound effects allow you to create high-end tracks even for smaller productions and in top-of-the-line quality - despite tighter budgets. A comprehensive sound library with high-quality sound effects and atmospheres will make you fast and flexible. When the budget is tight, it can be a particular challenge to make the work live up to your high standards and to give it a personal touch in such a short time. For these reasons, it is even more important not to lose any time and make quality compromises. 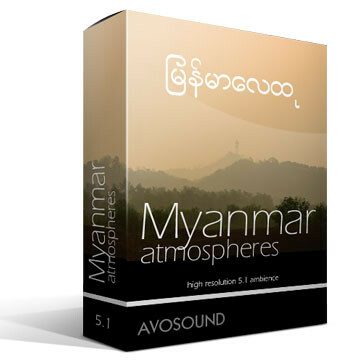 At Avosound and our partner labels, we will travel far to gather the best sound effects from around the world for you. We will create a custom-made sound library for you and your company, compiled according to your requests and your quality requirements. In collaboration with internationally renowned sound effect labels like Sounddogs, Soundelux, Pro Sound Effects, Sound Ideas, BBC and many others, we can offer either a complete sound effects solution or a custom-tailored sound library for you. Great productions demand great sounds. Let the competition dabble in mediocrity - you and your production deserve to be great! We offer everything you need for your creativity and your ideas: pick your audio source material from a pool of nearly one million sound effects and atmospheres. It's quick and efficient too - thanks to a sound effects library that fits exactly your needs in terms of high-quality audio and sound effects. We are proud that our sound effects and sound libraries have helped shape the acoustic signature of many important people in the audio industry - and continue to do so. Create your own signature sound together with our sounds! In our archives you will find sound effects that have almost never been used before, e.g. Sounddogs owner Rob Nokes' Sound Library or the massive Soundelux Sound Effects Collection that contains more than 170,000 sound effects - the sound library of the legendary Soundelux Studios. Are you ready for your own / next award? Together with our partner labels, we continually strive to offer you fresh new sounds - nothing but the state-of-the-art for your productions! Our sound effects live up to the highest expectations of your clients and audiences in regard to listening habits, audio formats and resolution. Together with our partner labels we offer a massive selection of professional sound effects and noises for all needs. From atmosphere sound libraries and standard sound effect collections to sound design archives, our products offer solutions for companies of every size: from small project studios to massive media conglomerates with thousands of employees. Together with our partners we will find the fitting license for your application. Please read more about group licenses and license options for sound effect libraries. The Avosound Online Sound Archive contains more than 150,000 downloadable sound effects and atmosphere tracks from more than 20 top-of-the-line sound archives. Soundminer is the standard software for the administration of sound effects and music libraries and is used around the world in professional sound and video editing applications. 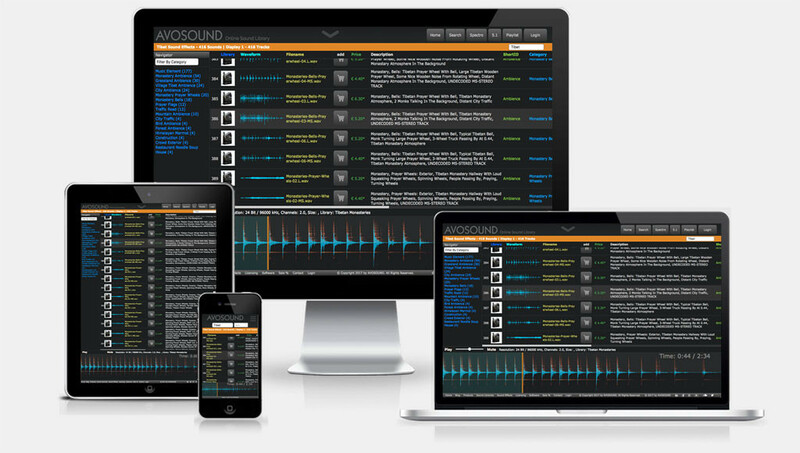 Focus on the essentials of your production - and let Soundminer do the rest. Soundminer offers solutions that serve companies of every size: from small project studios to massive media conglomerates with thousands of edit suites. Soundminer allows you to use your own plug-ins to create new sound effects and noises - the creative possibilities for sound designers are endless! We have been known to travel to the remotest corners of the world in order to record unique and pristine sounds for our sound libraries. 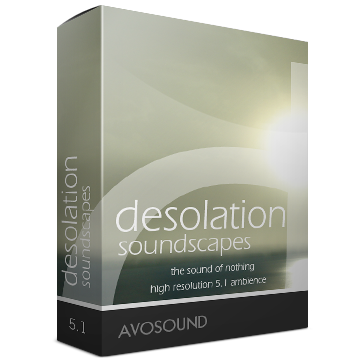 Just before the ocean cascades off the edge of the earth, you will encounter ice floats, seals, seagulls and the sound effects of the Desolation Soundscapes Sound Effects Library from Avosound. The Avosound Online Sound Library contains more than 150,000 downloadable sound effects, atmospheres, production elements and noises from more than 20 top-of-the-line sound archives.